An arthroscopy is a diagnostic procedure used to evaluate the health of problem joints – particularly those in the knees, shoulders, wrists, hips and back. 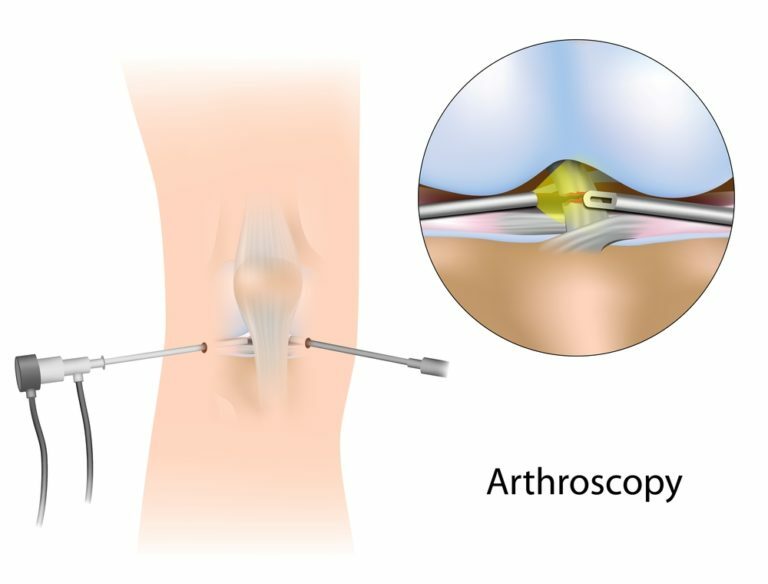 The procedure uses an arthroscope, which is an endoscopic device complete with a camera and light at the end. Inside the joint, the arthroscope transmits images of the joint to a viewing screen for your surgeons examination. These images are helpful in identifying and even helping conditions like a torn rotator cuff, a dislocation, or joint inflammation. that arthroscopy can be a convenient alternative to open joint surgery? Not only is an arthroscopy less invasive than surgery, it is also more affordable on average. Many patients also enjoy the shorter recovery time and lower risk of complications associated with arthroscopies. Do I need an arthroscopy? You may need an arthroscopy if you are suffering from chronic and undiagnosed joint pain or discomfort. Your orthopedic surgeon may recommend an arthroscopy as a means of examining the condition of your injured or diseased joint. The outcome of your procedure can help your orthopedist develop a treatment plan that best fits your needs. What should I expect during an arthroscopy procedure? Your arthroscopy will be an outpatient procedure performed while you are under local anesthesia and light to moderate sedation. Most procedures last no more than 1 or 2 hours, although you’ll need to spend at least a couple of hours in supervised recovery before being allowed to go home. A small incision will be made near your joint, through which your orthopedic surgeon will thread an arthroscopy into your joint. Using the camera on the end of the scope, your surgeon will examine the condition of your joint and determine whether the conditions present can be corrected during the same arthroscopic surgery. Examples of amendable joint conditions include cartilage damage, bursitis, and labral tears. Additional incisions may be necessary to correct any joint conditions. Will I need to follow any special instructions following my arthroscopy? You will probably go home on the same day as your procedure. However, you’ll need the assistance of a close family member or friend to help you in the days following your surgery. Your doctor will provide instructions for avoiding physical activity temporarily after your arthroscopy.